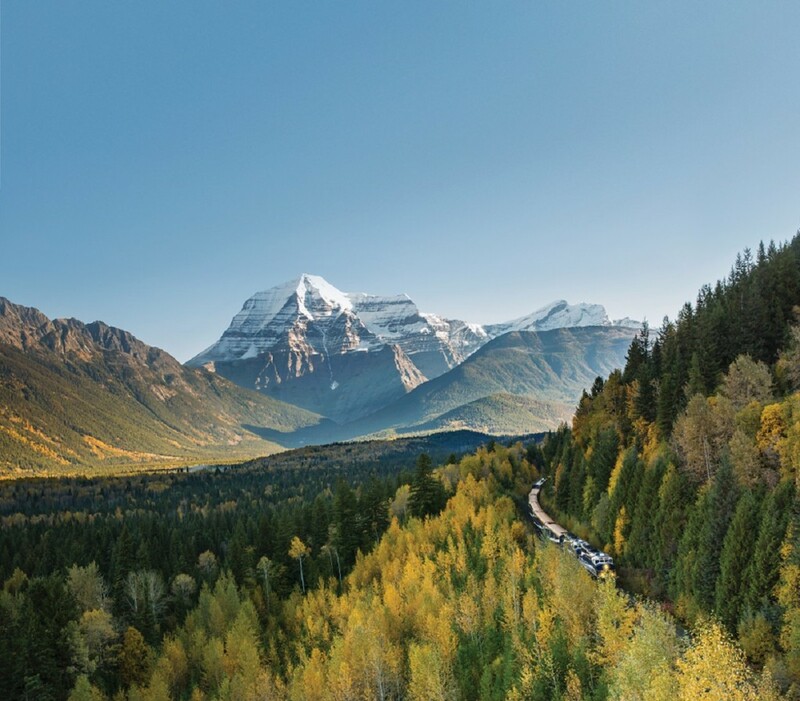 To celebrate the launch, agents can pass on up to four free perks per booking on qualifying 2020 Rocky Mountaineer package of 8D/7N or more, and up to two free perks per booking on packages of 5-7 days, in any class of service from the 2020 dates. The four free perks for a minimum 8D/7N package include two additional hotel nights at the start or end of the package in Vancouver, Calgary, Victoria, Banff, Lake Louise or Seattle; one airport transfer in Vancouver, Calgary or Seattle; and one set menu dinner at the preferred hotel outside of rail days. The two free perks for the 5-7 day packages include one free hotel night and an airport transfer. Agents should note that the offer is based on a ‘per room/per booking’ basis. Bookings must be made by 31 August and fully paid by 10 Jan 2020 for travel in 2020. Blackout dates apply. 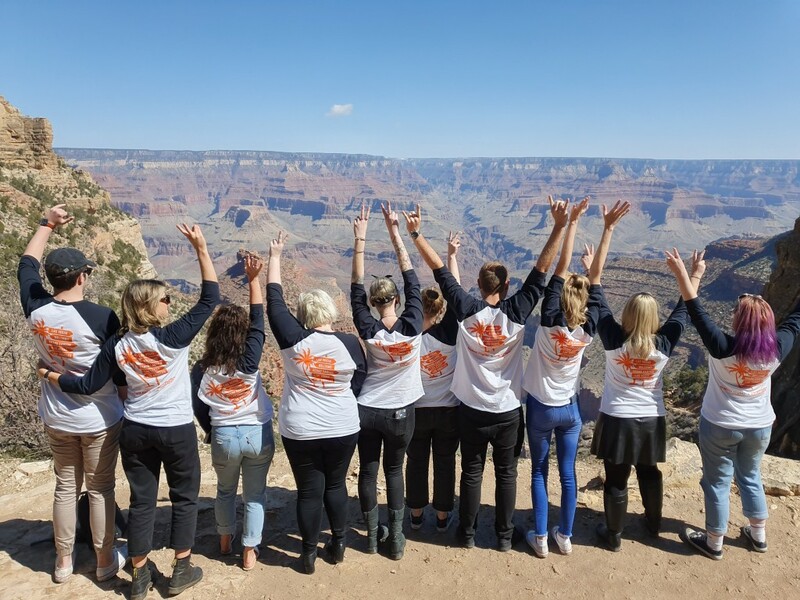 Busabout, the flexible travel experts, teamed up with Student Flights to send a group of their top-selling agents to USA from the 23rd to the 30th of March 2019, on an unforgettable trip marking the launch of its USA program this year. Agents ventured from Las Vegas to Los Angeles with stops along the way on Route 66, The Grand Canyon, Mojave National Park, Santa Monica, Venice Beach, Hollywood and Little Tokyo. Nine spots were up for grabs in total. Four spots were awarded to the top-selling store of each region on the prerequisite that 10 Europe or USA Hop-on Hop-off passes or Ultra Croatia Sail trips were sold. Five Wild Card spots were also on offer for agents that sold a minimum of 3 x Europe or USA Hop-on Hop-off or Ultra Croatia Sail between the 1st of November and 31st of December 2019. All agents and stores that sold Europe or USA Hop-on Hop-off passes or Ultra Croatia Sail were awarded 2 points, and 1 point for any other Busabout product sold. Busabout looks forward to celebrating all hard-working agents in future with new and exciting incentives to be announced in the coming months. Agents can stay in the loop with upcoming competitions and incentives on Busabout’s Agent Facebook group Busabout Shoutabout. Rail Europe’s Rail Expert back in 2019! Rail Europe’s Rail Expert program is back in 2019 with brand new modules and updates to help agents polish up on their skills and knowledge on all things train travel. A platform specially designed to equip agents with the necessary information and effective selling tips and tools, agents will learn everything they need to know about European rail products and the ever-expanding suite of Great Train Journeys. With the bite-sized modules being rolled out gradually throughout the year starting from today, agents can once again look forward to the generous incentives, where their participation and efforts will be rewarded based on scores, modules completed, the timeframe in which they are completed, and overall sales performance. Rail Experts will kick off the training with the European program, with Module 1 now available for completion and Modules 2 to 10 rolled out in the coming weeks. The next three Rail Expert programs are the Module 99, Swiss Travel Pass Superstar and the Great Train Journeys Expert. Agents are encouraged to complete the modules as they are rolled out to give themselves the best chances to win one of the many prizes in store including $15 Dan Murphy, $100 visa gift cards monthly and many other useful goodies. However, the ultimate goal for top scoring and performing agents is to win a place on one of the three famils taking place – two to Europe and one on a luxurious Great Train Journey. 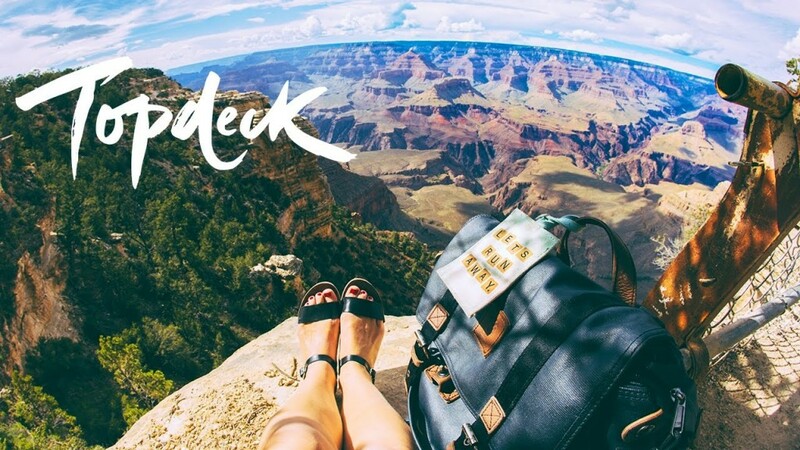 Topdeck Travel is launching a range of discounted trips that appeal to spontaneous travellers with savings of up to 20 per cent on last-minute trips throughout Europe, North America, the Middle East, Australia and New Zealand. Whether you want to bungy jump in New Zealand, fly high over the Grand Canyon in a chopper or get your glow on in Greece, Topdeck Travel have plenty of choice for all. Discounted trips include the 10-Day Moroccan Explorer, where travellers will hit the bustling and vibrant streets of Marrakech, stroll through the historic city of Meknes and explore the red dunes of the Sahara via camel, before settling in to enjoy a night under the stars. For those wishing to tick off a number of bucket list destinations, the 25-Day Road Trip USA allows travellers to enjoy the ultimate road trip experience throughout the United States. With stops in California, Arizona, Texas, Florida, New York City and many more, this action-packed adventure will be one to write home about. Big savings with Peugeot Super Specials, and you can also WIN a trip to Paris! 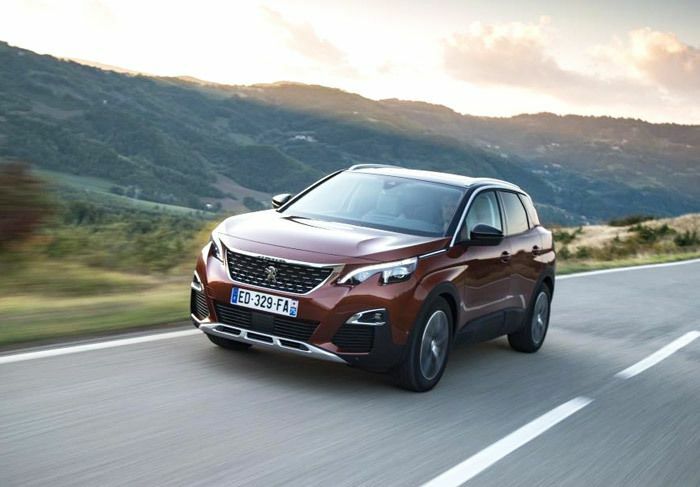 For a limited time only, DriveAway is offering up to 30 per cent off selected Peugeot vehicles for travellers planning an extended trip to Europe in 2019. Other offers include; FREE delivery and collection in Italy & Germany and 50 per cent off delivery & collection fees for Belgium, Netherlands, Portugal and Spain on all Peugeot Open Europe models. In some cases your clients can save up to $796. The Peugeot range is ideal for those travellers looking to drive throughout Europe for 21 days or more… Clients will receive a brand NEW Peugeot, freedom to drive through over 40 European countries including Eastern Europe, full comprehensive insurance with nil excess, unlimited kilometres plus more and best of all travel in complete luxury. Just remember, all Peugeot bookings until 30 June will also earn an entry into the draw to win an all expenses paid trip to Paris for 2. So get in quick and don’t miss out! Road & rail wrap: Busabout launches travel experiment, Rocky Mountaineer extends ‘stay and play’ + more! Welcome to the new-look, revamped Road & Rail Wrap! And by that we mean we changed the name, so please don’t set your expectations too high.